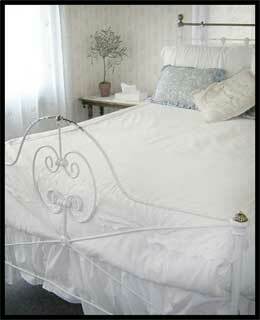 Visit the historic bed and breakfast in Skagway and enjoy a relaxing evening with amazing dining and luxurious accommodations. At the Skagway Inn Bed and Breakfast, host innkeepers Karl and Rosemary Klupar welcome each guest with warm hospitality, a delightful room and fresh food straight from the Alaskan waters and soil. 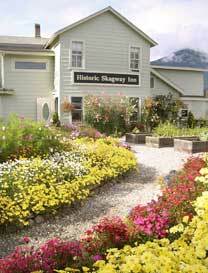 Built in 1897, the Skagway Inn originally catered to the rush of prospectors in the midst of the Gold Rush. 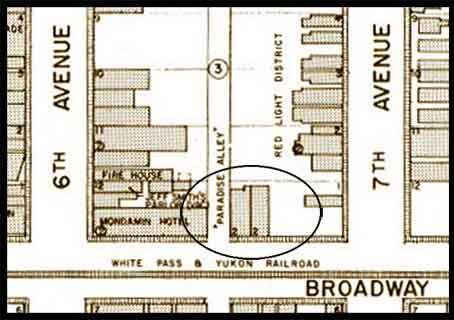 Operating as a brothel, a family residence, a boarding house and finally a Frontier Country Inn, the Skagway Inn retains its fascinating history and rich ambiance. The turn-of-the-century décor keeps the legacy alive and brings each guest into the history, mystery and magic of the Klondike Gold Rush. You can find your own piece of paradise and live your dream during your vacation as you relax in your cozy room, enjoy exceptional service and sit down to world-class Alaskan dining.